Summary: Special discount for AfibAlert®, an FDA-approved standalone heart monitor for detecting atrial fibrillation. StopAfib.org is pleased to provide you with discounts on the AfibAlert® handheld ECG Monitor. 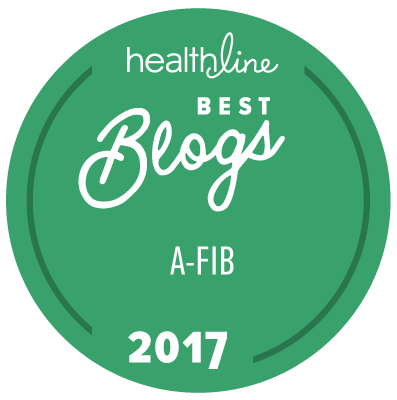 The AfibAlert®, by Lohman Technologies, is an FDA-approved (US only) standalone (no phone needed) heart monitor for detecting afib. It is portable and easy to use, and takes accurate ECG readings. The AfibAlert® is regularly $349 for the device with a one year warranty and one year of web access. Or for $449 you get the device, an accessory kit case with lead cable and wrist bands, and a three year warranty and three years of web access. Lohman Technologies is offering a SPECIAL $100 DISCOUNT just for the StopAfib community. Use coupon code AFIBAWARE when you place your order to get your $100 discount. And to top that off, shipping is FREE. The AfibAlert® also features a 30-day Money Back Guarantee! Click on ADD TO CART, and then click on VIEW CART at the top of the page. Enter the discount code AFIBAWARE and click the ENTER PROMO CODE button to apply the discount to your purchase. Select your preferred payment method—check or credit card/PayPal—and then click the BLACK BUTTON to complete your order. Limited time only. Offer expires September 30, 2015.